Photograph Gary Ono. 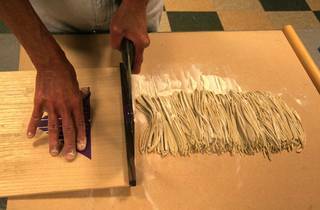 Photo courtesy Japanese American National Museum Soba making. It's a hands-on history lesson that will have your stomach rumbling with hunger the entire time. 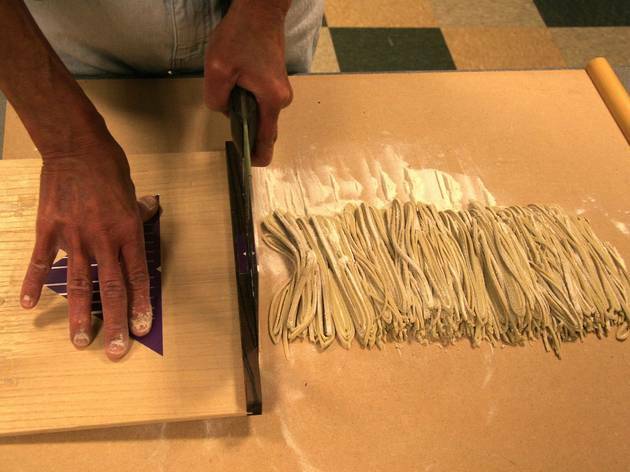 Learn how to make soba noodles completely by hand. Japanese writer Sonoko Sakai will be leading the production and fashioning long strands of soba completely from buckwheat. You'll feel like a champion at the end of the class. Just bring an extra container to carry home the spoils.